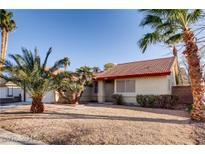 Below you can view all the homes for sale in the Emerald Point subdivision located in Henderson Nevada. 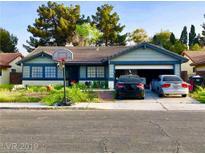 Listings in Emerald Point are updated daily from data we receive from the Las Vegas multiple listing service. To learn more about any of these homes or to receive custom notifications when a new property is listed for sale in Emerald Point, give us a call at 702-323-5903. Single story, 3 Bed 2 bath built in 1986. MLS#2086834. HomeSmart Encore. *ready To Move In*single Story Home In Green Valley*conveniently Located Near Dining, Shopping, Major Transportation Routes & More*open Floor Plan*bright & Airy*vaulted Ceilings With Fans*tile Floors & New Carpet*freshly Painted*total Cream Puff*cozy Gas Fireplace In Living Room*sunny Kitchen W/ Garden Window & Tile Counters*spacious Rooms*double Sinks In Master Bathroom*terrific Floorplan In Fabulous Location* MLS#2075718. Keller Williams Market Place. Garage has been turned into two rooms and buyer could easily convert back to original two car. Backyard has big pool/spa patio. MLS#2066671. BHHS Nevada Properties.